A newly-discovered bit of developer documentation suggests Valve has big plans in mind for third-party developers of multiplayer games. 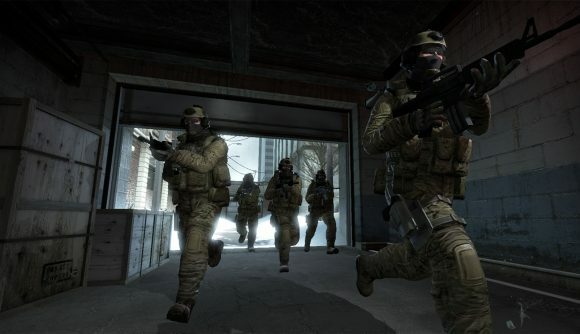 Most notably, it looks like Valve is working toward letting developers host their games through the company’s own dedicated servers. Exactly how this will work in practice remains to be seen, but the feature is currently in beta among some some number of developers. The broader point of the new documentation is an API aimed at secure server connections through a VAC-secured set of protections, including relays through Valve networks to keep IP addresses private. That should help protect against denial of service attacks, which is a point Valve noted in a blog post earlier this year – the same one where the company discussed expanded plans for Steam TV. But the most exciting possibility comes from those dedicated servers, which are only alluded to in this documentation (as noted on ResetEra). “Valve’s dedicated server hosting program” requires the use of this API, and developers interested in a beta of that programme can contact Valve for details on how to get in. Similarly, we’ve reached out to Valve for further info and will update if we hear more details. Exactly how those dedicated servers would be made available remains to be seen. Offering them for free would certainly go a long way toward justifying Steam’s increasingly controversial cut of game sales on the platform, though equally it seems unlikely that such an expensive feature would come out of nowhere. Regardless, Valve has been talking about this kind of thing for a very long time – yes, even well before competition from the Epic Games store started to be a concern. A Steam Dev Days video from 2016 even makes mention of hosting non-Valve games on Valve servers. Clearly, as with all Steam updates, it comes on Valve time.